It hasn’t taken long for the green and gold of Kerry to be spotted once again at the US Masters. 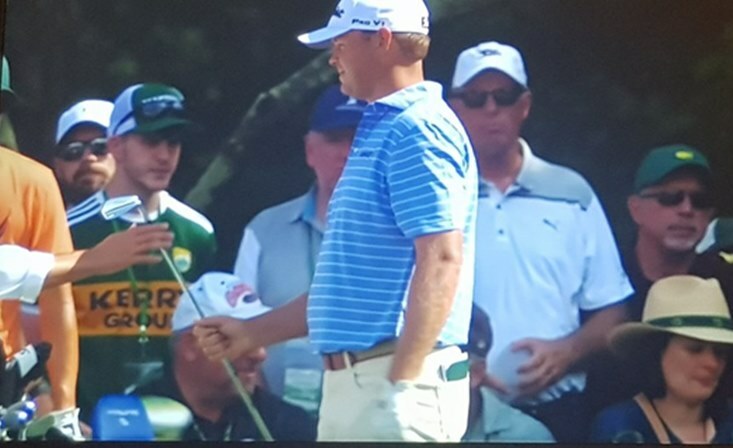 In what has becoming a growing trend these past few years, another Kingdom fan was spotted in his county’s colours at Augusta National during the opening day of play yesterday. A couple of eagle-eyed fans watching Day 1 posted screenshots of the man donned in the famous ‘Kerry Group’ sponsored jersey on their Twitter accounts last night.